Click here to skip the review and order your Simplicity Bra Kit with FREE shipping! Most of us nursing mothers have to pump at least once during our breastfeeding career. Whether you pump regularly or only occasionally, I am sure you’ll get excited about this new product as much as I am. 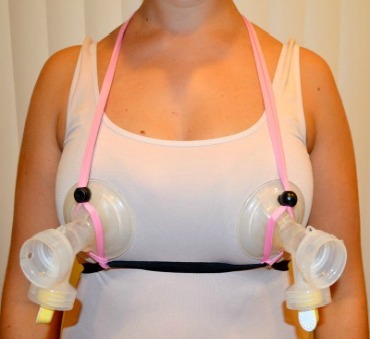 It is called Simplicity Hands Free Pumping Bra Kit. It is a great little helper that basically holds the breast pump shields in place during pumping, so you don't have to. Perfect for double pumping, but you can also pump only one breast with it. The bra kit looks very simple and it is simple to use too. It does a great job of freeing your hands for the duration of the pumping session. Think of all the things that you could do in those 15-20 minutes!!! Eat, read, type ….or even sleep! The ease of extracting milk from the breasts varies woman to woman. Babies are the most effective at milk extraction. On the other hand, pumping almost always leaves some milk behind. Try This Trick: Use Simplicity Bra right after giving birth when pumping to stimulate the onset of colostrum. While pumping hands-free you can get some rest or even hold your new baby skin-to-skin. Ideally, both breasts must get emptied completely at each nursing/pumping session. Complete draining boosts supply and prevents many unpleasant complications, like duct clogging, engorgement and mastitis. Therefore, more and more lactation specialists recommend hands-on pumping. Hands-on pumping is a combination of double pumping, hand expression, breast compressions, massage and single pumping. It is known to maximize milk output, boost supply and improve emptying of the breasts. I am sure most of you do that not even realizing that there is a term for it. Hands-on pumping is a time-consuming process and does require two hands. Simplicity Bra Kit does exactly that. It frees your hands for massaging, compressing and expressing milk. Many moms report a considerable increase in milk output and production when using Simplicity Bra Kit in combination with hands-on pumping. Hindmilk is the lifeblood for babies (especially premature). When a baby starts sucking, or you start pumping, foremilk is the first to come out. It is the most easily accessible portion of the milk. This milk doesn’t have as much fat and as many nutrients and calories as the hindmilk. The baby (or the pump) needs to do quite some sucking before they reach the fatty creamy hindmilk. If your pump works just fine for you and you can express absolutely no more milk with your hand after pumping, then Simplicity Bra Kit will simply add comfort and free your hands for anything else you want to do in the meantime. If your pump doesn’t empty your breasts completely, it leaves behind the most valuable hindmilk. Simplicity Bra Kit lets you use your hands to stimulate milk flow; massage and compress your breasts to empty every little milk sac. Simplicity will allow you to do other things while pumping and to accomplish hands-on pumping faster, while pumping both breasts at the same time. Simplicity Bra Kit is adjustable in several ways. 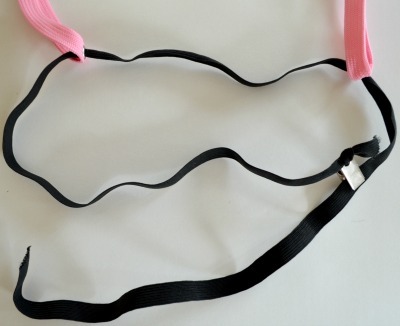 First of all, the waist strap is stretchable and has an alligator clip, so it can be adjusted to fit any waist size. 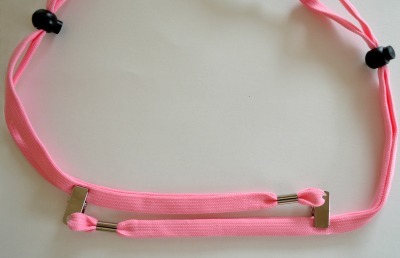 Secondly, the neck strap has two alligator clips and can be adjusted according to your height and breast size. Also, after you attach the pump shields to the breasts, you can secure them by moving spring clips up and down the neck strap. It is a great feature that helps keep shields of all sizes in place. And finally, once you have the bra kit and the shields on, depending on the size and shape of your breasts, you can align the shields with your breasts. Do that by moving the ends of the neck strap along the waist strap. There is nothing as changing as the bra size of a nursing mother. You can easily go up 3 sizes in a matter of days when milk starts coming in. This is where the adjustability feature comes in handy. When you first unpack your Simplicity Kit, it looks like a bunch of straps, but once you look at the instructions and adjust the straps, it is REALLY easy to use! The best part is that you only need to adjust it once. After that it is always ready to go! In the pre-Simplicity times, I used a tight sports tank or a special bustier for pumping. I hated the pressure they were applying to my breasts and how restrictive they were. Pressure and restriction can obstruct milk flow and cause pain and discomfort. I love how my Simplicity is so light and there is no pressure on the breasts. 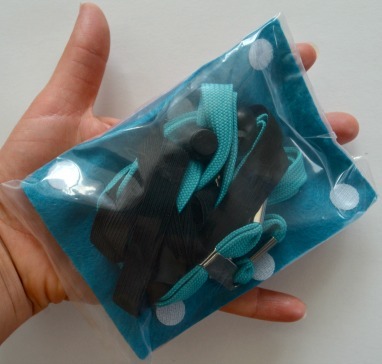 When packed the bra kit can easily go into your pump bag or even your pocket. No additional space is required. You can even leave it on and wear it under your clothes, especially if you have to pump frequently, like NICU moms do. 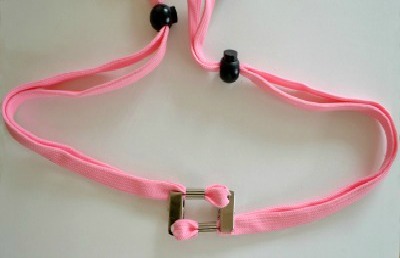 I love that Simplicity Bra Kit is equipped with alligator and spring clips. Throughout the testing the bra stayed in place and I never lost suction. Clips never failed to work. We already discussed how Simplicity Bra Kit is “one size fits all” due to its adjustability. It fits different breast and waist sizes. I also love that it works with all breast pumps and bras. As I was pumping at work one day, I leaned against the wall and fell asleep. I was out for only 10 minutes or so, but I woke up to a puddle on the table and a big wet spot on my skirt. Turned out I forgot to hold my pump breast shields, while napping! With Simplicity Bra Kit that would not be an issue. Hook it up, lean back, relax, and take that much-needed power nap! At the time of this writing one kit sells at $12.99, which is a very reasonable price compared to what you pay for a nursing top or bra. I recommend purchasing two of these: use both at home or take one with you to work and leave one home. Good to Know: With each order LactaMed includes instructions on how to do hands-on pumping. You will get an English/Spanish version by default. If you need instructions in any other language, they are available in 29 different languages on LactaMed's website under "Support". LactaMed is the creator of Simplicity Hands Free Pumping Bra Kit. The company is a strong advocate of breastfeeding. They do a lot of educational work on the techniques and benefits of pumping and are committed to helping moms pump more efficiently. I love what the company does and feel great about purchasing their product. I enjoyed testing my Simplicity and I know you will enjoy using it! Order your Simplicity Hands Free Bra Kit on Amazon. Ordering from Amazon is easy, secure, reliable and you get a FREE shipping! After you get your Kit, these instructions will help you adjust your Simplicity before the first wear.